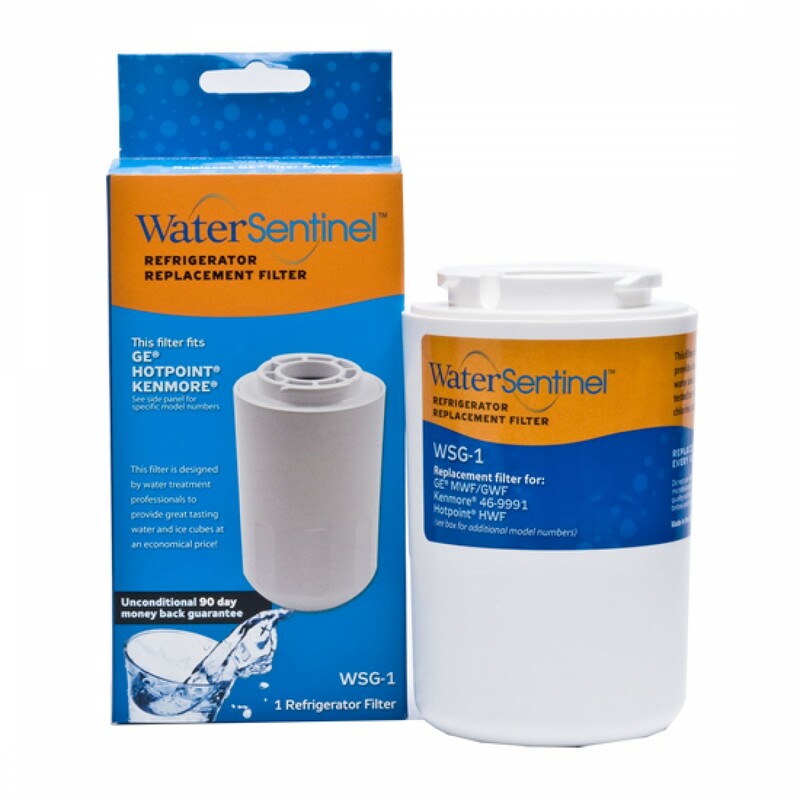 Built to fit into any GE or Hotpoint fridge model that uses the GE MWF, the Water Sentinel WSG-1 refrigerator water filter is a comparable replacement that ensures the water served by your fridge remains crisp and clean! By reducing chlorine, sediment and odors for up to six months, this filter will transform your fridge water into a premium quality beverage, or a premium quality ingredient for your favorite blend of coffee or cocktail! Made in the USA. The WATERSENTINEL-WSG-1 does not reduce fluoride.